Here are the Shows, Exhibitions, Conferences & more which we'll be attending or have been to recently. If you're in the area for any upcoming events, why not come along and say hello! We're really excited to be going to the Plant Consciousness conference in London again this year. Last years event was very stimulating & thought provoking and this years event has a powerful and important message for us all. 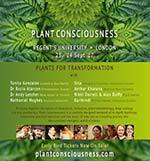 This two day event takes place in Regents University, London and brings together some of the leading speakers and thinkers in the field of plant consciousness. We have a stand again for this years event and we'll be taking our Bach Flower Remedies and Flower, Gem & Crystal Essences and also the Music of the Plants Devices! It promises to be a fascinating weekend! "This immersive weekend will help you discover a deeper understanding of nature, how we can work with it for personal and collective healing, and how we can create a different world, one that places our relationship with the green beings and the environment at its core." We'll be at this years British Flower & Vibrational Essence Association ( BFVEA ) annual gathering and as well as taking a large range of Flower, Gem & Crystal Essences, our own Sam Cremnitz will also be giving one of the talks. Event: The BFVEA Annual Gathering 2018 will be a celebration of the BFVEA's 20th year with presentations from some of the Founding Members. The BFVEA is a professional organisation whose membership consists of practitioners and tutors of flower essence therapy and their aim is to support and serve their members best interests as well as providing an information resource for the general public. 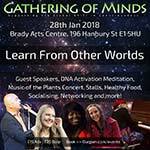 This fascinating workshop is on the 28th January in London. It's a wonderful chance to learn from one of the leading experts on the Music of the Plants devices and plant communication. We'll be there with the Music of the Plants devices and a range of our Flower, Gem & Crystal Essences. ALEXANDRA WENMAN multidimensional plant communicator and holistic therapist. MUSIC OF THE PLANTS FEATURING: Award winning composer TIM WHEATER Pianist GILLY BEAN in our unique and mind-blowing live music concert alongside plants. Be astounded by what you will learn about interspecies music and true co-creation with the plant world. 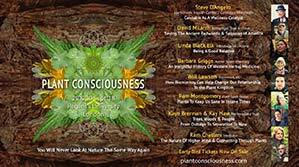 We're really looking forward to the attending this years Plant Consciousness conference in London in September. There are some very interesting speakers going and we have a stand there so we'll be taking our Flower, Gem & Crystal Essences and the Music of the Plants U1 Devices! It promises to be a fascinating weekend! Event: The Plant Consciousness conference is a wonderful reminder of our of natural and inherent connection with Mother nature. Bringing together some of the foremost speakers in the field, the Plant Consciousness conference is both a forum for discussion and a focal point for a strand of understanding that is not yet mainstream. 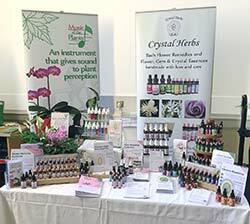 We'll once again be at this years British Flower & Vibrational Essence Association ( BFVEA ) annual gathering, this time being held in Kegworth in the Midlands. We'll be there for the whole weekend and as ever we'll be taking a range of our Flower, Gem & Crystal Essences. We're very much looking forward to the weekend and hearing from a range of intereting speakers. Event: The BFVEA is a professional organisation whose membership consists of practitioners and tutors of flower essence therapy and their aim is to support and serve their members best interests as well as providing an information resource for the general public. We have three monthly Newsletters - 'E-Light', 'Essences for Sharing' and 'Special Offers & News'.